A design for a 100,000 sq. ft. church and mixed use residential complex in New Jersey, featuring 34,000 sq. ft. of worship space, and over 65,000 sq. 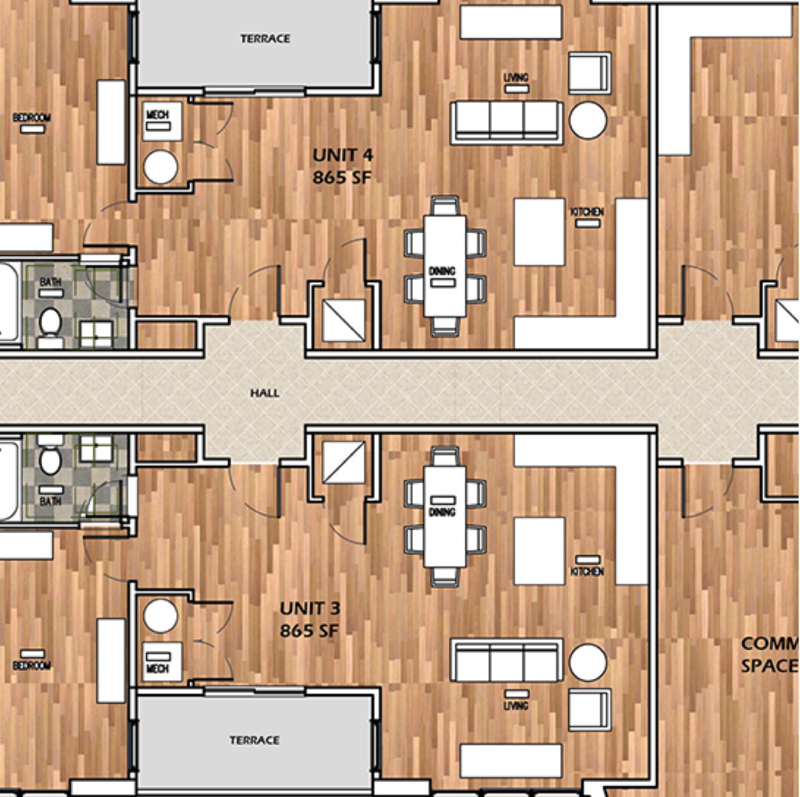 ft. of residential space. Site features include surface parking, roundabout driveway with drop-off area and over 50 underground parking spaces. From the exterior the modern church design is a definite departure from traditional church architecture, but it incorporates elements of natural light & grandeur within the 3-story high open worship space. 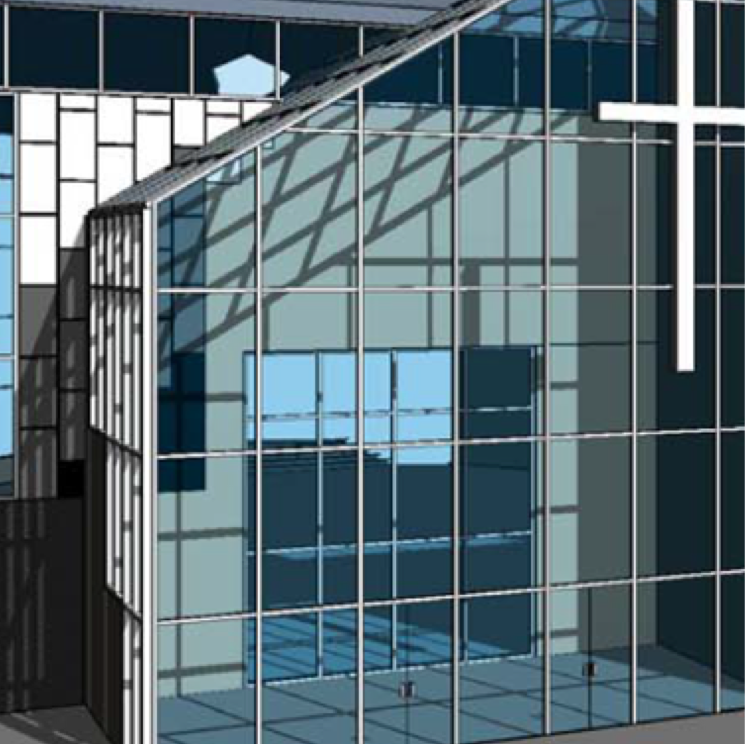 Large amounts of curtain and clerestory glazing provide areas of direct lighting, and indirect lighting in other areas of the church. The exterior façades of the complex display unique and colorful interplays of red, white, and black geometries, a nod to the Haitian background of this particular church assembly. 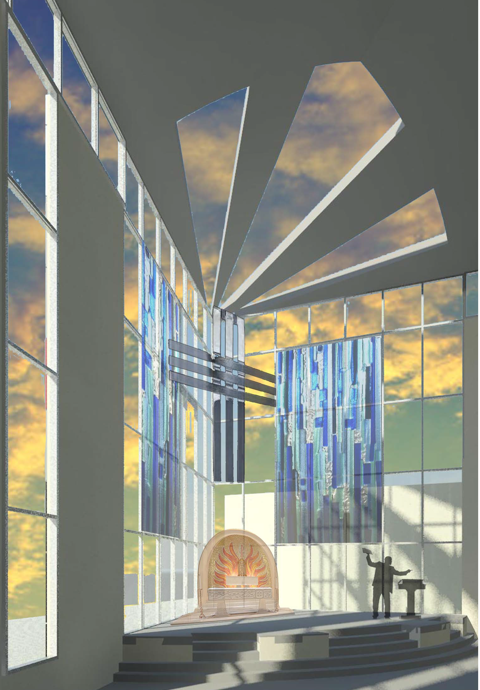 Entrances are defined by light- filled “crystalline” glass vestibules; these elements serve not only as ways to establish a hierarchy at the entrances, but are reminiscent of a prominent vertical steeple or bell tower element, characteristic of a church.